Details for Celebrity Xperience can be found below. Celebrity Xperience provides an incredible array of all-inclusive cruises and a choice of 7-night, 10-night, or 13-night all-inclusive vacations, featuring itineraries with exciting combinations of pre- and post-cruise land experiences. 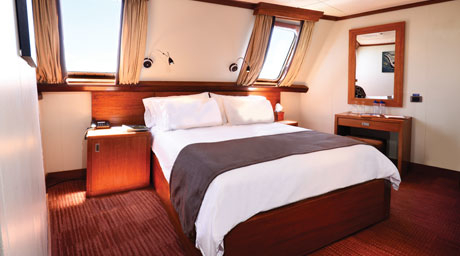 With 24 stylish staterooms—each featuring an ocean view and detailed extras that make a big difference—you'll find it easy to unwind and explore. 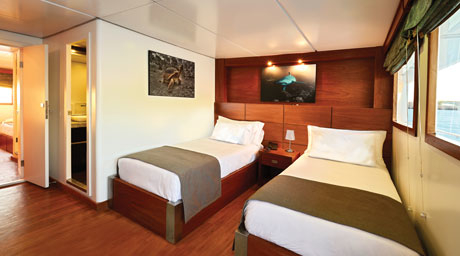 The Deluxe Ocean View Stateroom lets you explore the islands that inspired Darwin's theory of evolution while you're immersed in modern luxury. The Elite Ocean View Stateroom lets you explore the islands that inspired Darwin's theory of evolution while you're immersed in modern luxury. 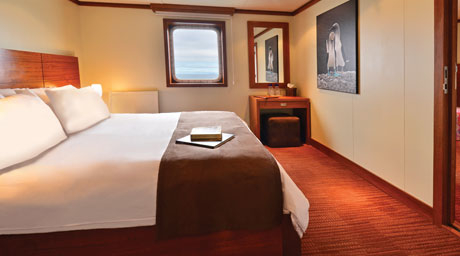 The Premium Ocean View Stateroom lets you explore the islands that inspired Darwin's theory of evolution while you're immersed in modern luxury. Complimentary use of snorkel equipment and wetsuits. write a review of Celebrity Xperience.